The Diploma Programme (DP) is an academically-challenging, pre-university programme for 16- to 19-year-old students. It is a two year programme which aims to give your son or daughter the knowledge and skills they need to enable them to excel in university and beyond. 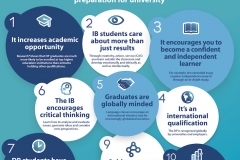 IB students care about more than just results. It encourages you to become a confident and independent learner. The IB encourages critical thinking. DP students have proven time management skills. It assesses more than examination techniques. Subjects are not taught in isolation. It encourages breadth and depth of learning. 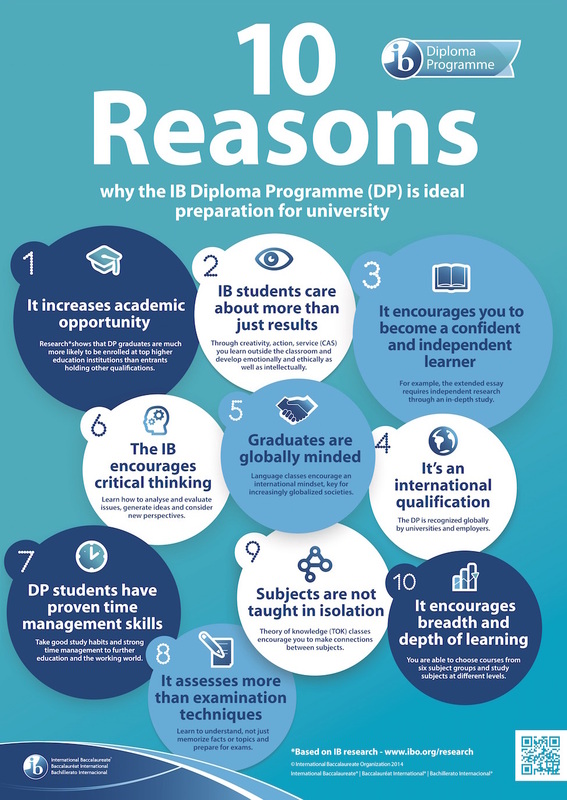 The DP is recognised by top universities in over 140 countries around the world.